Outside of school Nisei participated in Japanese community events. Nisei sports teams from around the Northwest traveled to cities like Seattle and Portland for basketball, baseball, and judo tournaments with other Nisei teams. 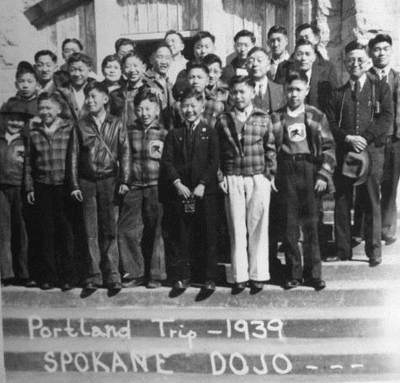 Pictured above is the Spokane Judo Club at a 1939 tournament in Portland.